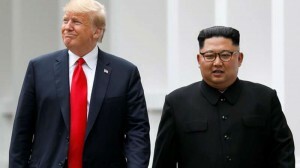 Intellasia East Asia News - Why Vietnam for the second Trump-Kim summit? But unlike Pyongyang, Hanoi now counts Washington among its closest allies, emerging from the ravages of war to become one of the fastest growing economies in Asiaand one of the most diplomatically savvy. The last top North Korean leader to visit Vietnam was Kim Jong Un’s grandfather Kim Il Sung in 1958, though several senior officials have visited since then. Kim’s trip to Vietnamit will be his firstcould also be a chance for him to learn from Vietnam’s post-war economic transformation. Vietnam might also be a strategically important location for the US, which is currently locked in a trade war with Chinaone of North Korea’s closest allies.